The two female skippers continue to dominate the leader board with the teams led by Nikki Henderson and Wendy Tuck in the top two positions as they begin the first Elliot Brown Ocean Sprint of the Clipper 2017-18 Race. Visit Seattle declared first, crossing the start latitude of 5°S at 1117 UTC yesterday but this does not guarantee the win. Differing from the Scoring Gate, the Elliot Brown Ocean Sprint points are awarded to the first three teams with the shortest elapsed time between two designated latitudes - for Race 1 this is between 5°S and 10°S. With three points, two points and one point awarded for the first three teams respectively any team in the fleet, no matter their position on the leader board, could declare the shortest time. Liverpool 2018 remains in eighth position ahead of Dare To Lead which has resumed racing in ninth after the successful medical evacuation of crew member, Jerry Stokes, to the island of Fernando de Noronha. Skipper, Dale Smyth, said: “We are hugely relieved to have Jerry safely ashore receiving professional medical care”. Though their diversion has given them a more windward course to sail, the crew on Dare To Lead are determined to do their best to remain in contention. 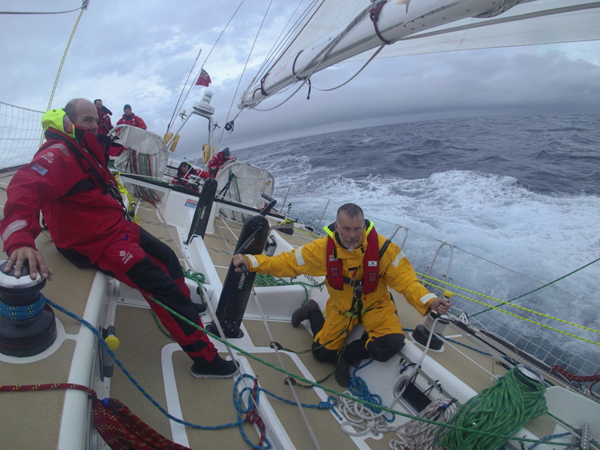 Simon Rowell, Clipper Race Meteorologist, reports that the South Atlantic High is both strong and settled for now, and it is this which is keeping the fronts down south. With the next front around Rio de Janeiro in about four days’ time, apart from squalls, the fleet should continue to make good progress around the side of the High towards Uruguay. But it does mean conditions will continue to be tough. 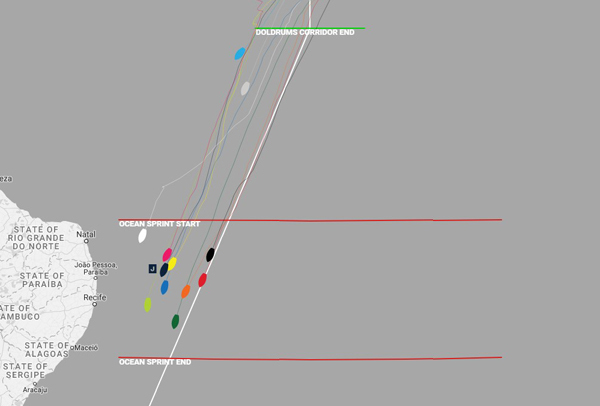 To stay up to date with the fleet’s positions keep a close eye on the Clipper Race Viewer. All positions correct at time of writing.